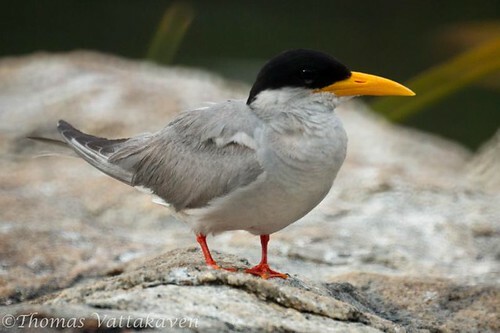 The River Tern (Sterna aurantia) is also called as the Indian River Tern or the Common River Tern. 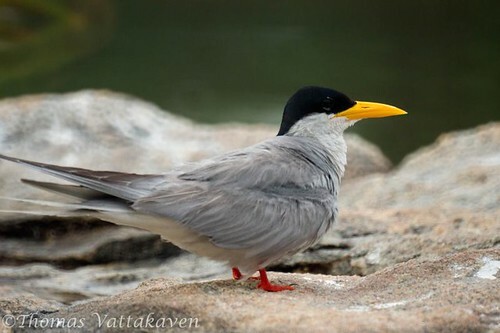 usually a black cap,which is invariably found by water. 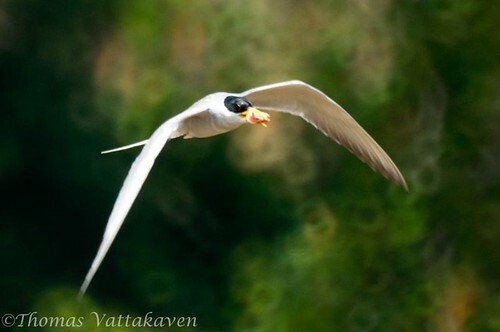 The bird is more likely to be sighted in flight than on the ground. 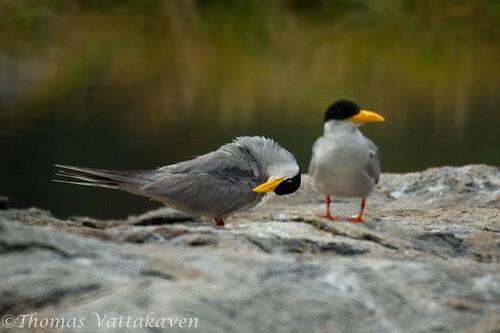 These birds spend a great portion of their time fishing. 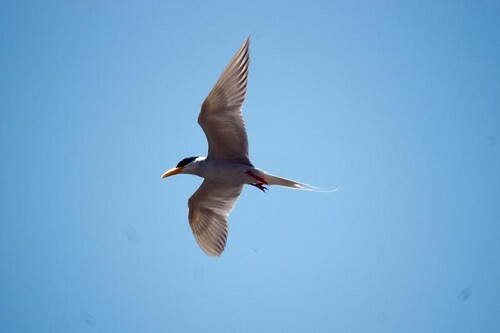 They fly along some 20 to 30 feet above the surface of the water, with a distinctive but slightly jerky flight, watching the water below as they fly for shoals of the small fishes on which they feed. parties on the sand-banks near the water's edge, often in company with other species”. They breed from March to May. The nest is a small depression scraped in the sand or rock which gets season almost too hot to touch due to the hot sun. 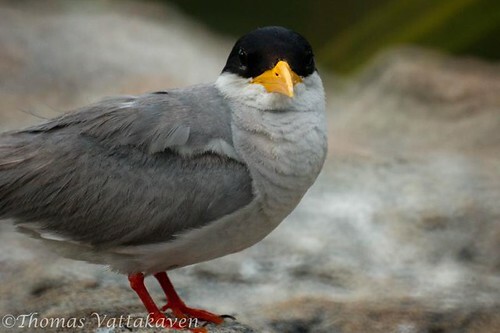 They lay 2-3 eggs and are very casual about brooding it and spend most of the day fishing. However, should an intruder be detected, all hell breaks loose with the birds flying round and round overhead with shrill cries.